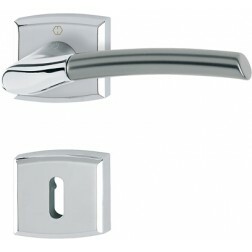 Tilt and Turn Window Handle Hoppe Bruxelles series on rectangular rose. Also available on oval rose. 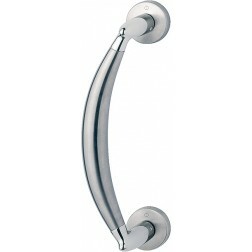 Hoppe tilt and turn window handle Bruxelles Series, fascinating design and two-tone finish. 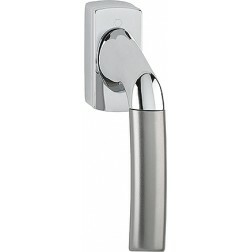 The handle is distinguished for her matte effect, very pleasant to the touch. It's a quick and easy installation, just need a little DIY practices. With Secustik technology this window handle protects your windows from external break-ins. Also available with oval rose.